As for Philippine Visa Requirements, for those Nationals planning to stay for longer term visits to the Country, or for Non Philippine Nationals, a Retirement Visa may be applied through the Philippine Leisure Authority where proposed or "pre-existing investments may qualify the applicant for a Philippine Retirement Visa. The Philippine Leisure and Retirement Authority (PLRA) is now accepting Special Resident Retiree's Visa (SRRV) applicants with pre-existing investments in the Philippines. This policy has been in place since October 28, 2003. Pre-existing investments in the form of a previously purchased condominium unit, shares of stock in corporations, leasehold agreements and proprietary membership shares are accepted in lieu of the required US dollar time deposit. In addition to the usual documentary requirements for SRRV application, applicants should submit specific documents depending on the type of investment they will be using in lieu of the US dollar time deposit. For condominium units or long-term leasehold agreements, applicants should submit: Condominium Certificate of Title (CCT) or Transfer Certificate of Title (TCT) duly certified by the Registry of Deeds; and Deed of absolute sale as proof of the property's purchase price, which should be at least USD 50,000.00 or USD 75,000.00, whichever is applicable, based on the exchange rate at the time the property was purchased or acquired. Under the pertinent provisions of the Philippine Constitution only Filipino citizens and corporations or partnerships at least 60% Philippine owned are entitled to acquire LAND in the Philippines. As an exception to this rule, foreign acquisition of Philippine real estate is allowed in the following cases. Acquisition before the 1935 constitution. Acquisition through hereditary succession if the foreign national is a legal heir. Purchase of not more than 40% interest as a whole in a condominium project. Purchase by a former natural born Filipino citizen subject to the limitations prescribed by law. A Filipino who is married to an alien retains their Philippine citizenship, unless by their act or omission they are deemed to have renounced their Philippine citizenship. [Please see notes on the Philippine Dual Citizenship Law]. Another way for foreign nationals to invest in Philippine real estate is for the Foreign national or foreign corporation to create a Philippine corporation to hold title. This allows the Philippine corporation of a foreign national or foreign corporation less investment risk and more control of their Philippine real estate investment, and other Philippine investment assets. Foreign nationals, and corporations may 100% own a Philippine condominium or town home. 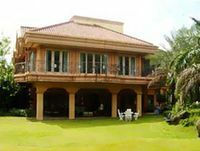 For private land, residential home with land lot and or commercial building with land lot ownership the foreign national and or corporation forms a Philippine Corporation to take ownership of the property. On paper, a Philippine Corporation by Philippine law will be a maximum of 40% foreign owned, and a minimum of 60% Filipino owned with a minimum of five incorporators. The Philippine corporation by law shall have a main bank account tied to it before and upon incorporation. A foreign national may be the sole person on the Philippine corporation bank account once after the Philippine corporation has been created and power of attorney has been handed over to the foreign investor at the time of incorporation. Thus allowing the foreign national total control over the funds derived and paid out from the Philippine Corporation and from the income or sale of the asset or real estate property. Dual citizenship is now newly available under Philippine Law. Dual citizenship means having two citizenships and passports from two different countries. Former Philippine citizens born in the Philippines, but that have immigrated to another country and obtained citizenship of that country. A foreign spouse married to a Philippine citizen. Dual citizenship allows the citizenship holder full rights of possession of Philippine real estate property. In a landmark bill, the Philippine Government enacted Citizenship Retention and Reacquisition Act. With this act, the decades-old ban on dual Philippine citizenship was thrown away. The Philippine Congress recognized that in today's world, Filipinos have dispersed around the world and have even taken on the nationality of their new home countries while maintaining their strong ties to the Filipino community, heritage and families. Unfortunately, prior to this act, a Filipino who naturalized in another country, such as the U.S. lost Filipino citizenship. The Philippine Congress recognized that this seriously affected the unity of Filipinos overseas with those in the Philippines. It also had drastic consequences with prior Filipinos losing interest in investing in the Philippines. The new act allows all prior Filipinos who lost their Philippine citizenship because they became citizens of another country to regain Philippine citizenship. It also allows Filipinos who want to naturalize in another country, like the United States for example, to keep their Philippine citizenship. Reacquiring and retaining citizenship allows dual national Filipinos to vote and run for elected office. The children of Filipinos who reacquire citizenship are also affected. Those unmarried children, under the age of 18 will also be considered to be citizens of the Philippines. This includes legitimate, adopted, and illegitimate children. The reacquisition of Philippine citizenship is not automatic. Filipinos who lost Philippine citizenship when they became citizens of anther country must swear an oath of allegiance. The oath is found in the text of the act, and in the coming months the Philippine Department of Justice will provide rules on the administration of the oath. One can envision that former Filipinos overseas need appear at their local Consulate to take oath and apply for Philippine passport. The new act accepts back, with open arms, Filipinos who lost their citizenship. It embraces dual citizenship and recognizes that in today's day and age dual citizenship is a desirable factor for Filipinos who maintain their allegiance to their homeland. If holding title as an individual, a typical situation would be that a foreigner married to a Philippine citizen would hold title to Philippine real estate in the Philippine spouses name. The foreign spouse's name cannot be on the property Title but can be on the contract to buy the property. As a foreign investor, caution should be taken upon considering taking title to real estate in this manner. Presidential Decree No. 957, which regulates the sale of subdivision and condominium developments. The National Housing Authority has exclusive jurisdiction to regulate Philippine real estate trade and business, a function, which is presently exercised by the Housing and Land Use Regulatory Board (HLURB). 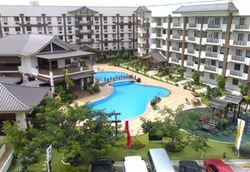 Certain conditions are required before a license to sell condominium development units and or subdivision development lots and homes is issued to a Filipino or Foreign owned individual or corporation. The requirements include a certificate of registration, a performance bond, and an approval of the building plans and specifications.